Chicago, Illinois. An armed robbery at a cell phone store went quickly wrong for the criminal wielding a gun when the store owner fought back. And HARD. The stickup came out of the blue as the man pretended to be interested in buying a phone. Out of nowhere, he pulls out a bag and a gun and demands to be taken to the back room to empty the safe. This is a pretty epic play from the guy. 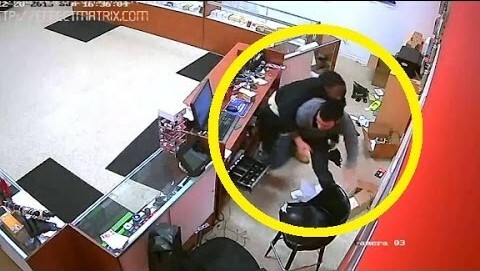 One minute he’s selling iPhones, the next he’s battering an armed robber, wrestling his gun off him and taking him down. Karma’s a b*tch, ain’t it? !